animals with a form of Huntington's disease. 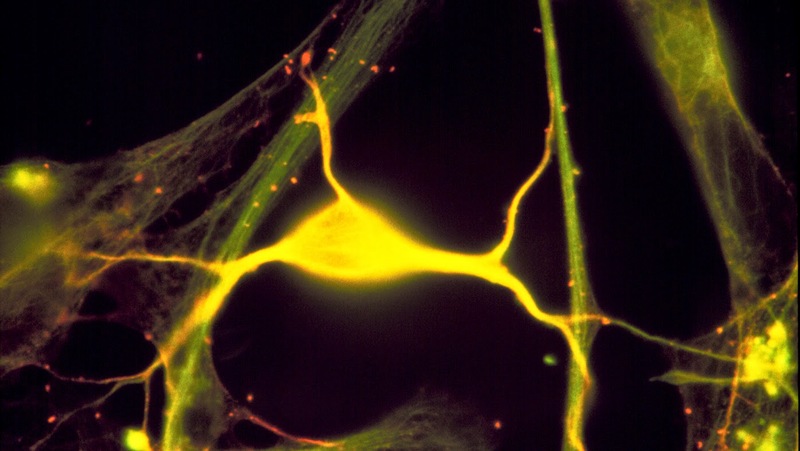 ﻿By adjusting the levels of a key signaling protein, researchers improved motor function and brain abnormalities in experimental animals with a form of Huntington's disease, a severe neurodegenerative disorder. The new findings may lay the groundwork of a novel treatment for people with this fatal, progressive disease. The study was published in the journal Neuron. The current study contradicts those assumptions. "We show that the mTORC1 pathway is already impaired in Huntington's disease, and that improving how the pathway functions actually has a protective effect," the researchers said. "However, restoring that pathway must be done very carefully to avoid further harm. It's a 'Goldilocks effect.' You need to restore the mTORC1 level; either too much or too little is detrimental." The researchers noted that in the HD mice, brain areas that had begun to atrophy recovered volume and permitted better motor function after they restored mTORC1 activity to more normal levels. This shows that brain cells are capable of responding even after disease onset, and hints at the potential for reversing Huntington's disease. Much work remains to translate these scientific findings into a clinical treatment. Researchers must identify drug candidates that appropriately activate the mTORC1 pathway. Although gene therapy vectors delivered to brain were used for this research, the researchers envision developing a small molecule that can appropriately modulate this pathway. Such a treatment might be combined with a gene therapy approach, also being pursued by her team and other groups, delivered directly to the brain to curtail mHTT expression. More broadly, restoring mTORC1 activity to normal levels may benefit patients with other neurological diseases. Fragile X mental retardation and autism both feature overactive mTORC1 activity, while mTORC1 is reduced in ALS and HD. Originally posted by Children's Hospital of Philadelphia.